DIS: How did you find out about the opportunity to play basketball abroad? 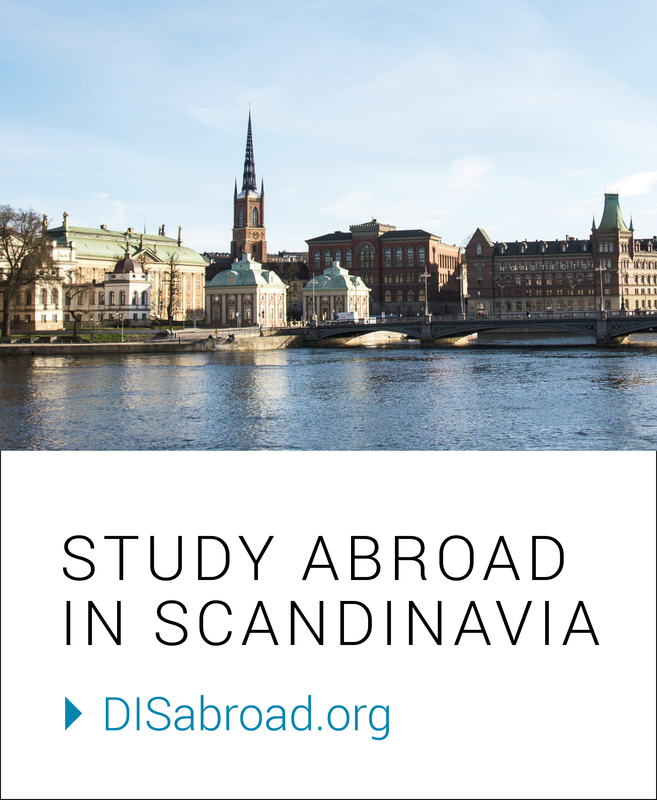 Kayla M.: When I was applying to DIS, a senior from my college who previously studied abroad at DIS Stockholm told me about the Activities Fair where students get to sign up to get involved in communities and organizations in Stockholm. When I arrived to DIS, I was hoping basketball would be offered. Before the fair happened, my roommate saw sports flyers on the Front Desk (at DIS). She gave me the basketball flyer and on that same day, I emailed the contact person. They invited me to come join one of their practices. After going to the first practice, I joined Kungsholmen Basket and have thoroughly enjoyed the opportunity to play basketball abroad. DIS: Tell us about the team! KM: The club team is in a competitive league and consist of former elite players. The age ranges from 20 to 30. Some players are in college and others are out of college and are creating careers for themselves. I find it really cool to see that I’m the youngest on the team, and how so many of the girls are in great careers while still playing competitive basketball during their spare time! KM: I play basketball for my college, Skidmore. I knew that I wanted to get involved in playing basketball in Sweden to stay active during my time away from my school season. I also thought it would be a great opportunity to meet locals and get to know their culture further, especially in a sports setting. DIS: What has the experience been like? KM: At first, I faced challenges of being a part of a new team as the only American. I wasn’t sure how I would fit in with the team. It is different playing with girls who speak a different language. A lot of the basketball terminology spoken on the court and the social conversations between each other are challenging to follow. However, as I went to more practices and played in my first game, the team made it easier for me to adjust. The team also speaks English; the girls and the coach do a great job translating and adjusting their game to include English. The girls are very friendly, inclusive, and are always open to help. DIS: Have you learned any Swedish phrases from the court? KM: For the most part, the team and the coach speak English on the court since I’m on the team. However, one word that I find the girls saying a lot in Swedish is byt which means switch in English. Byt is communicated on defense when we have to switch players to guard. DIS: How does playing basketball in Sweden differ from back home? KM: What I noticed about their playing style is how much cutting, passing, and screening is involved in their game. Back home, these skills are included, but not nearly as much as they do. They are always on the move. In addition, I noticed that the pace is different. Back home, a faster pace is played. Lastly, I noticed that there is not a lot of one on one type of plays. Mostly, there is more of a strategic team dynamic where everyone and every play is connected. All of the girls on the team are talented players, which has made my basketball experience competitive and has allowed my skills to be challenged on the court competitively. DIS: How has this team added to your experience abroad and living in Stockholm? KM: I really enjoy that I can participate in something that I do back in the U.S. and make it a part of my lifestyle in Stockholm, but in a Swedish way. For instance, I commute to practice and games by train, which is a big part of the lifestyle in Stockholm — most people commute via public transportation. I find myself becoming more and more used to commuting because I have plans outside of DIS. Being a part of this team has allowed me to step outside of my comfort zone by being directly a part of a Swedish environment. This team has allowed me to see how friendly and welcoming Swedes are. I can learn more about locals and their culture, which has been a great opportunity because a big part of studying abroad is getting out of the American bubble and exploring the city further by meeting locals and learning more about a new lifestyle. DIS: Would you recommend joining an organization outside of DIS to future students? If so, why? KM: Definitely — whether it is a hobby that you already do or picking up something new. Both allow you to meet locals that are more than willing to talk more about their Swedish life. And, you can be a part of the Swedish lifestyle and it gives you something to do outside of your studies.